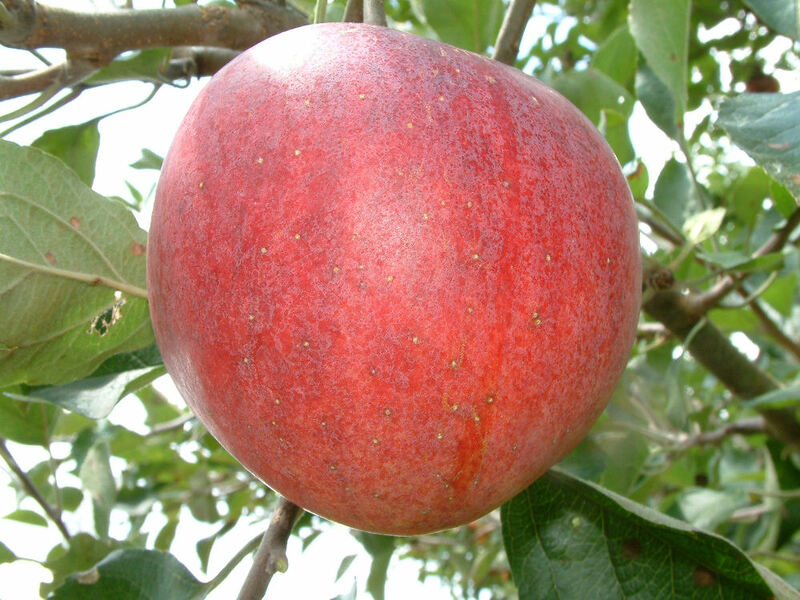 A very fine and attractive apple brought into Kentucky from North Carolina in the early 1800’s. It became known as King in Kentucky and was an important commercial variety there around 1850. Once considered to be extinct, it was rediscovered in 1986 by apple collector Joyce Neighbors of Alabama. Fruit is medium to large with greenish-yellow skin overlaid with red and crimson stripes and splashes. The yellowish-white flesh is brittle, tender, fine-grained, and juicy. Ripens July to August.